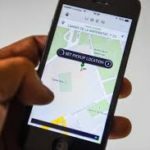 Would you like to learn to use your smartphone for travel, and become more experienced with ride share apps like Uber and Lyft? Learn about these new transportation options, using your handheld device. You can bring other questions about using your smart phone too! The first class, an introduction to Rideshare will be on Wednesday, April 5 from 3:00-5:00 pm. It will be taught by TRIPPS volunteers. Additional hands-on training will be held on other Wednesday afternoons- April 12, April 19, and April 26 from 3:00-5:00 pm at the Brookline Senior Center. Register for a class with TRIPPS at (617) 730-2644. Classes are limited to 10 people each day. Make sure to bring your smart phone. 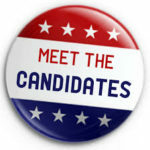 BrooklineCAN is sponsoring a forum for candidates for Town-wide offices on Monday, April 24 at the Senior Center from 4:00 to 6:00 pm. This year, Brookline has contested races for Board of Selectmen, School Committee, and Library Board. Candidates for all three offices will have opportunities to make brief opening statements followed by questions from the public. The forum will be open to all. We hope that issues of greatest interest to seniors will receive attention from the candidates. All the library’s a stage! April is the Bard’s birthday month, and the Brookline Public Library is celebrating with a host of presentations, interactive performances, and films. The kickoff event, April 2 at 1:00 pm, is an interactive show in the Brookline Village Library (Main Library) by the Knighthorse Theatre Company—with plays suggested by the audience and roles for the entire family. Subsequent events include scenes from Julius Caesar offered by the Commonwealth Shakespeare Company (April 25), the Boston Theater Company Teen Touring Troupe’s interpretation of “Much Ado about Nothing” (May 7) and, later in the spring and summer, several films and two Commonwealth Shakespeare Company performances held on the library lawn! Please check the Library’s website for further details. All events are free and open to the public. Held in locations all over Brookline every spring, Open Studios takes place Saturday, April 29 and Sunday, April 30, 11:00 am to 5:00 pm. The show features painting, sculpture, photography, jewelry, fabric arts, pottery, and more. This year the Senior Center is one of the venues. The Artists’ Preview Show is currently at the Brookline Public Library Main Branch, 361 Washington Street, through April 23, with a Preview Show Reception April 23, 1:00 to 3:30 pm. A map of all locations will be at http://www.brooklineartscenter.com/ and for more information, contact lauren@brooklineartscenter.com or 617-566-5715. Nearly 50 Brookline senior women recently participated in The Reunion Project, designed to encourage older women to reflect on their memories and recognize the wisdom that comes with age. The project, co-sponsored by BrooklineCAN, culminates in an exhibit featuring photographs and quotations, on display at the Brookline Senior Center, and at Goddard House, 165 Chestnut Street, Brookline. The exhibit will open at both Goddard House and the Senior Center on April 3 and will run through June 30 at the Senior Center and through May 31 at Goddard House. Photographer Lora Brody will present images, narrative, and history of the project at a reception at the Senior Center on April 20, from 6:00 to 8:00 pm. A second event in conjunction with Brookline Open Studios will take place at Goddard House on April 29 and 30 from 11:00 am to 5:00 pm, where photographer Lora Brody will again describe the project at 2:00 pm both days. On the March 29 Age Friendly Cities (AFC-TV) program, Patricia Burns, Volunteer Coordinator of the Brookline Senior Center, shared stories and information about the many opportunities for young persons to volunteer on behalf of seniors in Brookline. We learned much of what drives participation in the program. Nick Brown, Student Coordinator of the Brookline High School SHOP program also appeared and talked about SHOP where young people offer to shop for groceries for seniors. Patricia has run the program for three years with a key goal of introducing young volunteers to older people needing assistance with shopping, technology, visits, errands and food programs. Earlier Patricia was an Assistant Country Director in the Harvard School of Public Health working with Botswana and helped start the Health Sciences College in Ethiopia.